AP. Jithender Reddy Businessman and Member of Parliament from Mahbub Nagar Lok Sabha Constituency elected in 2014 General Elections. Jithender Reddy (born 26 April 1954) at Nagar Kurnool, Mahbub Nagar, Telangana. Jithender Reddy's father is a Police Officer named A.P. Ramachandra. Schooling. St. George's Grammar School (Habits, Hyderabad) and 9th &10th was studied in Vijayawada, Andhra Pradesh and also he has completed Intermediate in Vijayawada, Andhra Pradesh. College. He Completed His Graduation(B.com) in Badurka Degree and P.G. College Hyderabad. In 1976, Jithender Reddy completed his education and became an accountant in Shapoorji Pallonji and Company Private Limited in Mascot. Jithender Reddy also worked as an Administration Manager in the same company. Jithender Reddy came into India to establish Power Plant in 1995. AP Jithender Reddy Political Carrier. AP Jithender Reddy's entry into politics was unexpected. Nandamuri Taraka Ramarao(N. T. R) to Jitender Reddy's father Ramachandra had good relations from the beginning. At the call of Jithender Reddy, N.T. Rama Rao came home for dinner. In that case, NTR called A.P. Ramachandra to call his son Jithender Reddy into politics. Ramachandra asked NTR to give him the Mahabubnagar Constancy ticket to Jithender Reddy. N.T. Rama Rao was agreed to give the seat to Jithender Reddy to contest MP from Mahabub Nagar Constituency. Later, Jithender Reddy won the TDP contest as an M.P. from mahabub Nagar Constituency. Jithender Reddy withdraws from TDP due to differences with Chandrababu Naidu. In 2010, Jitender Reddy received an invitation from TRS party. 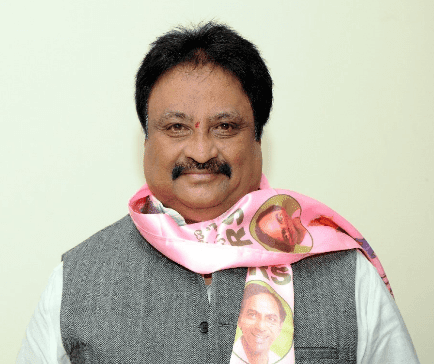 Jithender Reddy won the MP from Mahbubnagar Constancy in General Elections 2014. 1999 Elected to 13th Lok Sabha. 1999-2000 Member, Standing Committee on Defence. 2010 Member, Polit Bureau, Telangana Rashtra Samithi. May, 2014 Re-elected to 16th Lok Sabha (2nd term). 13 June 2014 onwards Member, Business Advisory Committee. 15 Sep. 2014 onwards Chairperson, Joint Committee on Food Management in Parliament House Complex. Member, Committee on Members of Parliamant Local Area Development Schemes (MPLADS). 19 Sep. 2014 onwards Member, Standing Committee on Defence. Member, Consultative Committee, Ministry of Civil Aviation. 29 Jan. 2015 onwards Member, General Purposes Committee. 2 June 2016 Member, Sub-Committee of the Standing Committe on Defence. He adopts Moghalmadka Village, Mahbub Nagar, Telangana.